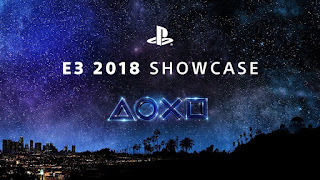 Last year Sony blew me away with their conference. The number of games they had to show us, many of which I've played over the last year and that I'm still playing to this day, became hits and best sellers. Tonight I hope for more of the same. Sony kicked off their conference with a musical interlude and then goes right into Last of Us 2. It opens with brilliant cinematic and transitions seamlessly into gameplay. I have friends who don't even own a PS4 talking about just this intro beat out anything Microsoft showed off the day before. That speaks volumes to me. Last of Us 2 looks and plays like a marvel. After a brief intermission, which wasn't that brief as I sat at the edge of my seat patiently waiting for it to return. Sony came back with Ghost of Tsushima which had a mix of stealth and combat gameplay. They showed off a new game called Control and then stunned everyone with the reveal of Resident Evil 2 Remastered. 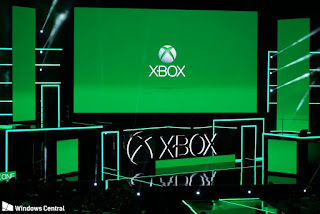 I have to say that I went into this Microsoft E3 Press Conference with little expectations. As I watch the conference and write this at the same time they did not disappoint. Or rather, they didn't impress. They hit the same beats they always do, sticking to their well-establish franchises and not venturing out and showing anything new. The conference opens with a Halo: Infinite tease and then goes into games that we all know are coming. Crackdown 3, We Happy Few, Forza, Gears; you get the idea. 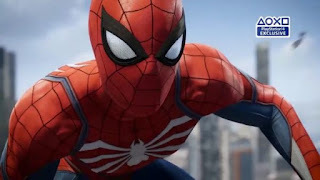 They showed off a new trailer for Fallout 76 and a new trailer for Kingdom Hearts III (LOVED IT) and a few other upcoming titles but nothing really NEW. We got a Division 2 trailer and gameplay reveal. It looks great but we all remember what happened when The Division first debuted at E3 and the final game we got when it was released. We also got an announcement and trailer for Gears 5. Can't say that I didn't see that one coming but I did.